Home » Online Privacy , Security » Kids, Web and Parental Controls - This is The Secure Combo! Kids, Web and Parental Controls - This is The Secure Combo! Parental Controls – Preventive Measure! Once you know the phenomenon and the psyche of web predators, it becomes a little easy to secure kids. One nice idea to prevent kids from every single web related issues is to install parental controls on their devices. 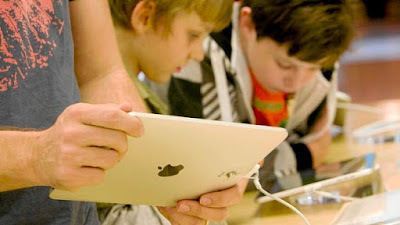 We all know that kids love the idea of going mobile hence they prefer to use their mobile devices for accessing the internet rather than sitting in front of those old-fashioned desktop computers or even the laptops. They prefer smartphones, tablets and other handy devices for their use. This preference makes it easy for parents to keep a keen eye on what activities they perform online, who they connect with and nonetheless what are they up to. In addition to helping parents with monitoring, there are apps that let them take appropriate controls. · Track Browsing history: Keep an eye on which sites they visit for and stay updated with their entire Web behavior. · Monitor Favorites and Bookmarks: View the complete list of their bookmarks and favorites. · Contacts: Keep an eye on all of the contacts along with details. · Calls History: Monitor the calls-history along with the date and time stamps. · Track Location: Stay in the know of your kids’ changing locations even on the go. · Trace Location history: Keep a check on their whereabouts with the date and time stamps and see where they have been all day long. ALSO READ: Why does Spy Earpiece Appear among the Devices that Help to Pass Exams? · Check Installed Apps: View the list of apps installed on your kids’ device with the additional details such as app version, date of installation etc. · Monitor App Usage Frequency: Keep track of the time they spend on each app using the app frequency checker of FamilyTime. · Watchlist Contacts: Watchlist any suspicious contact and receive alerts if contact is made by either party. · Blacklist Apps: Restrict the access to apps you don’t want your kids to use. 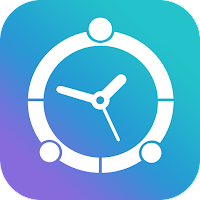 · Schedule auto-screen-locks: Put auto screen locks on your kids’ devices any time for any given time interval say meal time, study hours or at night. · Lock Phone: Lock their phones to stop usage at inappropriate hours. · Geo-Fence: Create a virtual fence around important places such as Home, school, clubs, etc. to receive check-in and check-out alerts. All these features together help parents secure their kids not just in the cyber world but in the real scenario too as you never know what wrong they may face in their lives because of one inappropriate activity online. The days of spying or snooping on kids are gone. Today, if you want to save your kids, better pick smart options such as installing parental controls and keep track of all activities they perform.